On one terrible night, 17-year-old Harley Langston’s life changes forever. At a party she discovers her boyfriend, Mike, hooking up with her younger sister, Audrey. Furious, she abandons them both. When Mike drunkenly attempts to drive Audrey home, he crashes and Audrey ends up in a coma. Now Harley is left with guilt, grief, pain and the undeniable truth that her now ex-boyfriend has a drinking problem. So it’s a surprise that she finds herself reconnecting with Raf, a neighbor and childhood friend who’s recently out of rehab and still wrestling with his own demons. At first Harley doesn’t want to get too close to him. But as her sister slowly recovers, Harley begins to see a path forward with Raf’s help that she never would have believed possible—one guided by honesty, forgiveness, and redemption. 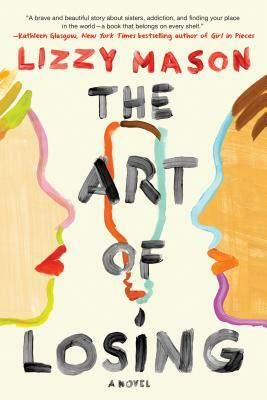 Lizzy Mason grew up in northern Virginia before moving to New York City for college and a career in publishing. She lives in Queens, New York, with her husband and cat in an apartment full of books. The Art of Losing is her first novel. Visit her online at www.LizzyMasonBooks.com. "The Art of Losing is a powerful and raw read for those seeking a story that unapologetically articulates what many are afraid to say. Both uncompromisingly honest and emotionally compelling, The Art of Losing is a story that reminds us of the potential for something better when we find ourselves in the inevitable art of loss."